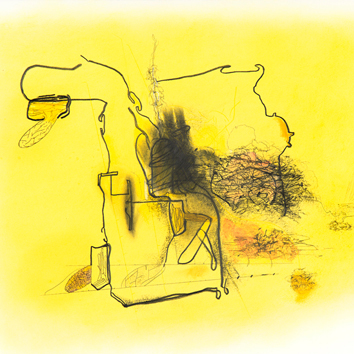 Drawing has always been central to Joan Tanner's artistic production, which also includes painting, sculpture, and installation work. 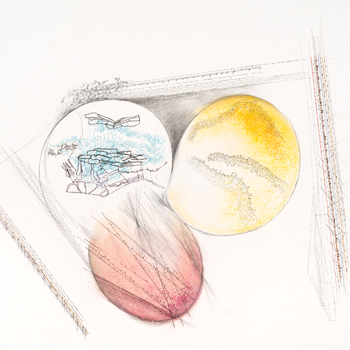 This exhibition presents Tanner’s works on paper spanning three decades—from 1983 to 2013—and demonstrates the characteristic tensions in her work, between ephemeral markings and grounded elements, complexity and nuance, nature and human systems. The exhibition is organized by Julien Robson, independent curator and director of Great Meadows Foundation. Joan Tanner: NoTiNoRdeR will be on view from January 20 through June 17, 2018 in the Bank of America Foundation/Dominion Resources Gallery. Joan Tanner, donottellmewhereibelong #33, 2015, Chalk, pencil, pastel, and ballpoint pen on Arches paper, 22" x 30", Courtesy of the artist. 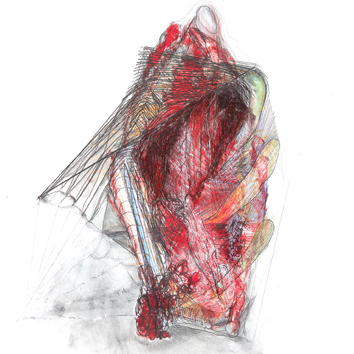 Joan Tanner, donottellmewhereibelong #11, 2014, Graphite, oil stick, pastel, 22.25" x 30", Photograph by Wayne McCall, Courtesy of the artist. 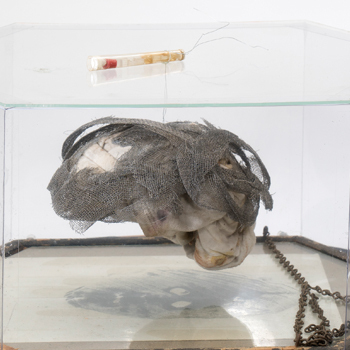 Joan Tanner, Screen Hat, 1990 – 2010, Inverted wood frame, Xerox print, suspended cloth & screen, wood base on casters, hexagonal acrylic box, plexi lid, 12" x 17" x 17", Courtesy of the artist. 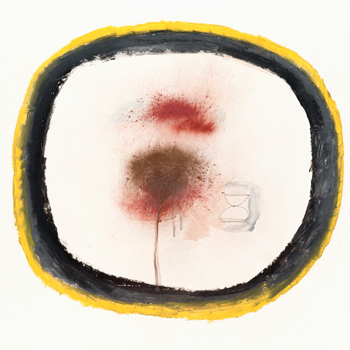 Joan Tanner, Drawing Focus #3, 1999, Oil stick, metallic powder, and ink on Strathmore, 34.75" x 27", Courtesy of the artist. 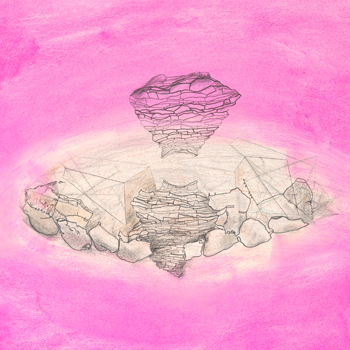 Joan Tanner, donottellmewhereibelong #18, 2014, Pencil, colored ink, pastel, 22" x 30", Courtesy of the artist.